Machu Picchu is a 15th-century Inca site located 2,430 metres above sea level. It is located in the Cusco Region, Urubamba Province, Machupicchu District in Peru. It is situated on a mountain ridge above the Sacred Valley which is 80 kilometres northwest of Cusco and through which the Urubamba River flows. Most archaeologists believe that Machu Picchu was built as an estate for the Inca emperor Pachacuti (1438–1472). Often mistakenly referred to as the “Lost City of the Incas”, it is the most familiar icon of Inca civilization. 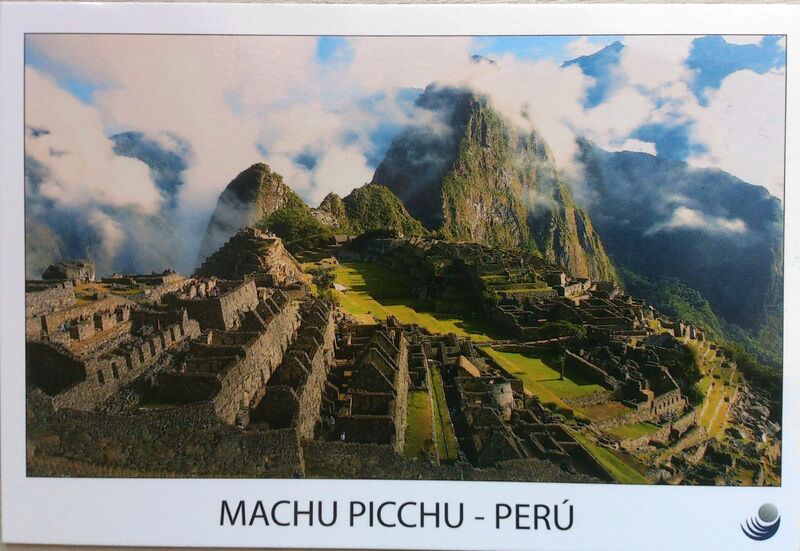 My first card from Peru comes from Jackelin. 🙂 It pictures the Plaza de Armas in the city of Lima. 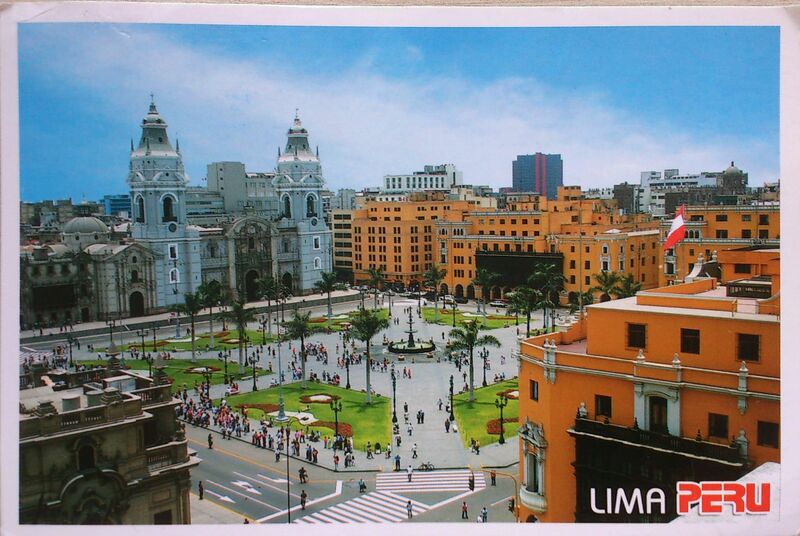 The Plaza Mayor or Plaza de Armas of Lima, is the birthplace of the city of Lima, as well as the core of the city. Located in the Historic Centre of Lima, it is surrounded by the Government Palace, Cathedral of Lima, Archbishop’s Palace of Lima, the Municipal Palace, and the Palace of the Union. Lima is the capital and the largest city of Peru. 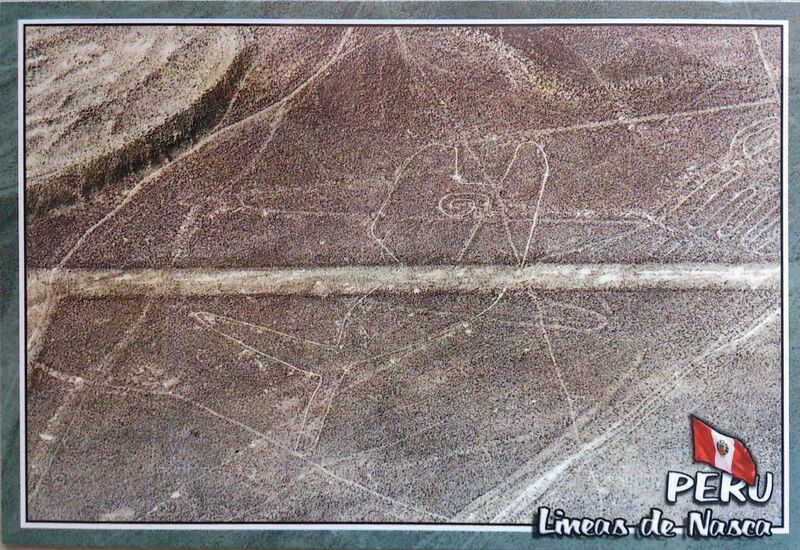 Lima was founded by Spanish conquistador Francisco Pizarro on January 18, 1535, as Ciudad de los Reyes. It became the capital and most important city in the Spanish Viceroyalty of Peru. Following the Peruvian War of Independence, it became the capital of the Republic of Peru. Today, around one-third of the Peruvian population lives in the metropolitan area.